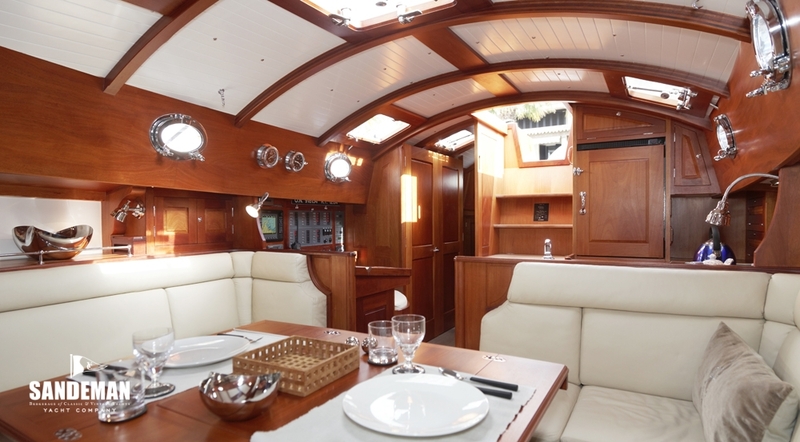 Whether for day or week coastal cruising in the Caribbean or the South of France, CHLOE combines comfort with elegance; the yacht comfortably sleeping four with good en suite facilities and an option for two more in the main saloon. 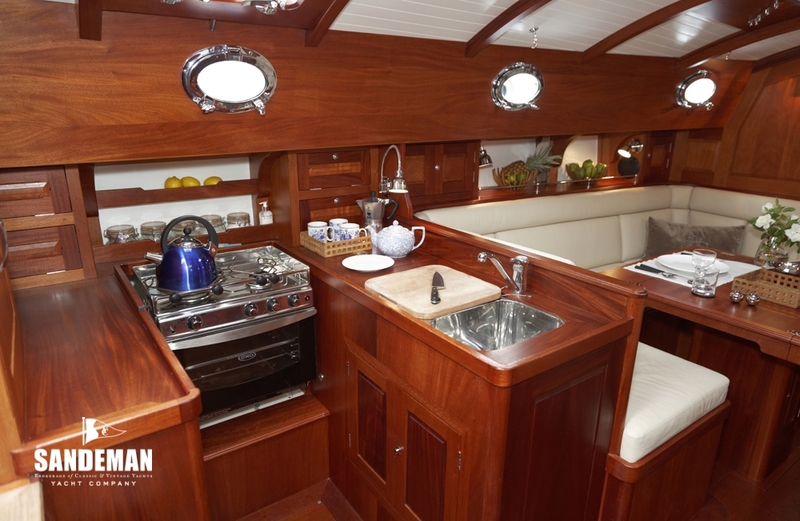 Just four years old, CHLOE would seem to be in immaculate condition, the owners having kept her fully maintained. 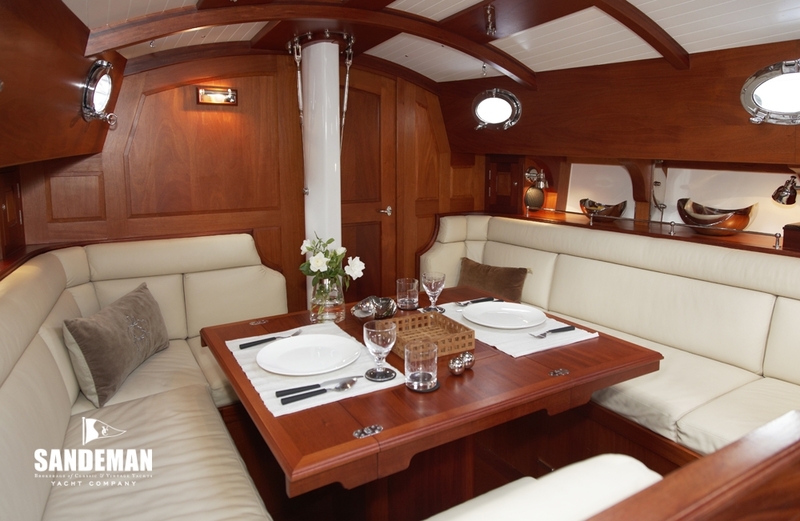 The yacht has cruised extensively proving a pleasure to sail, and fully manageable by just two crew. 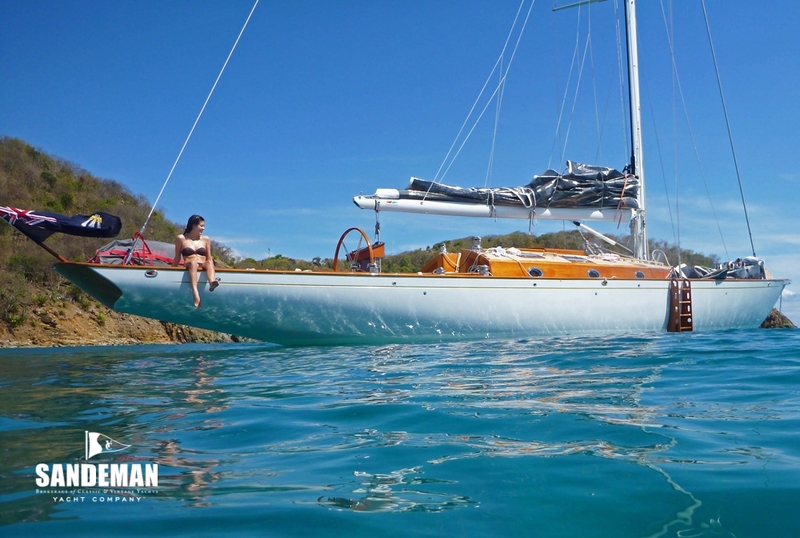 Equally she proved ideally suited to cope with the bigger swell and strong winds in the Caribbean. 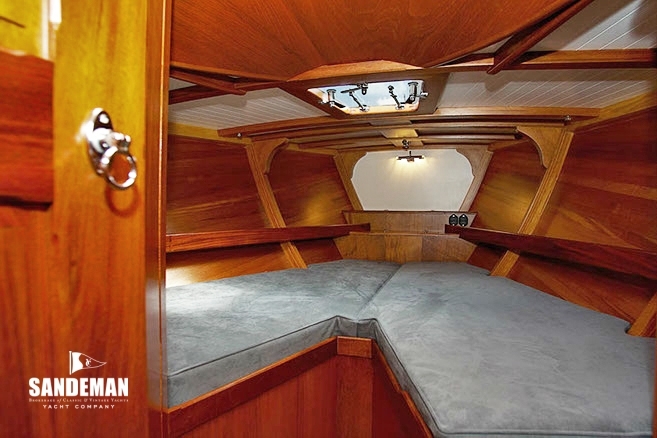 She is moreover a competitive racing boat, evidenced by her achievements so far. 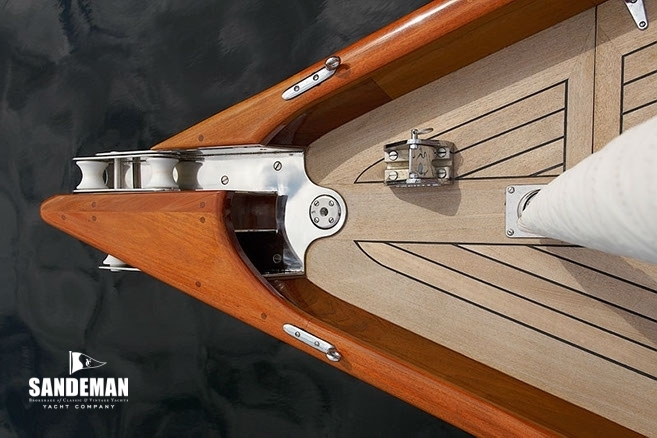 The construction and design of the Spirit yachts naturally lends them to competing in classic style racing at local and international regattas. 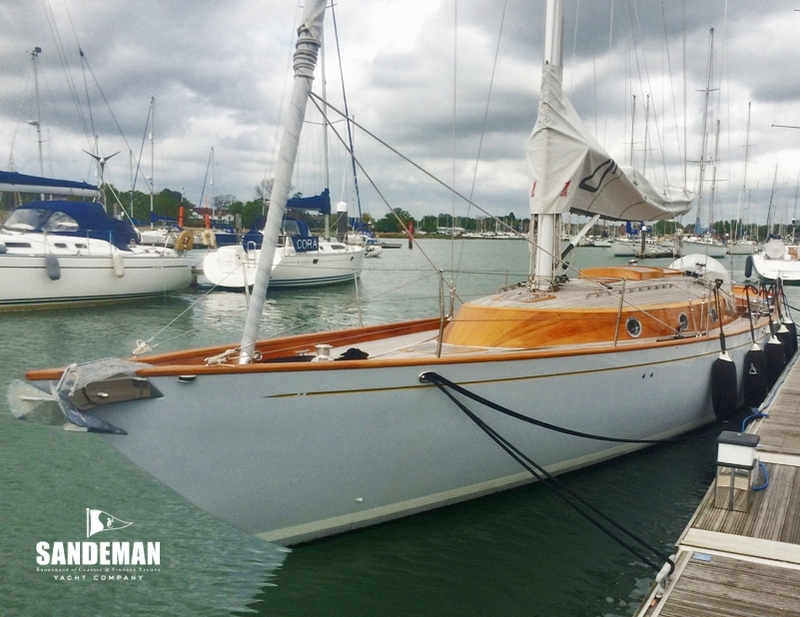 CHLOE first competed in the 2012 Panerai Classics Regatta, Cowes just days after her launch. Quickly showing she had the performance to win she was then entered in other events around the UK with quite some success. 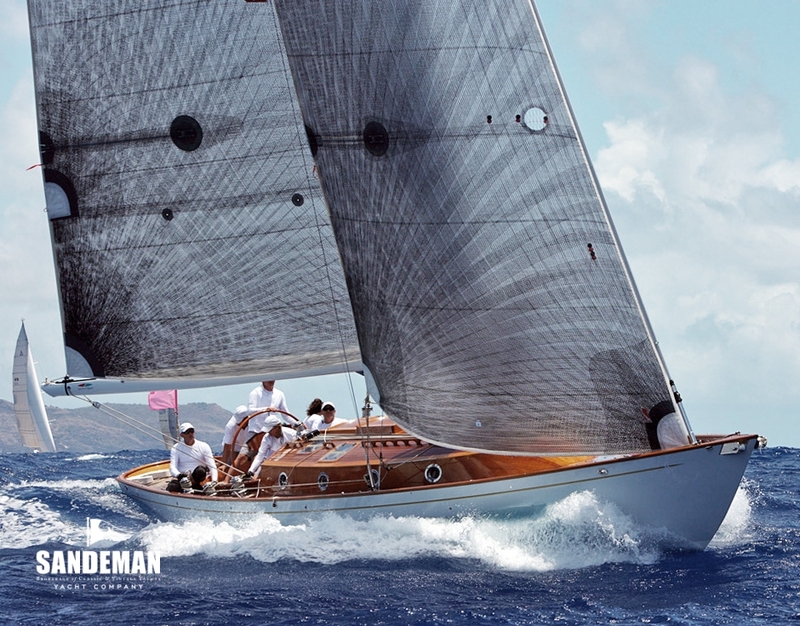 Her major achievement though was at the Antigua Classics Regatta 2014, where she beat all her similar sized competitors and was only beaten herself by one much larger yacht. 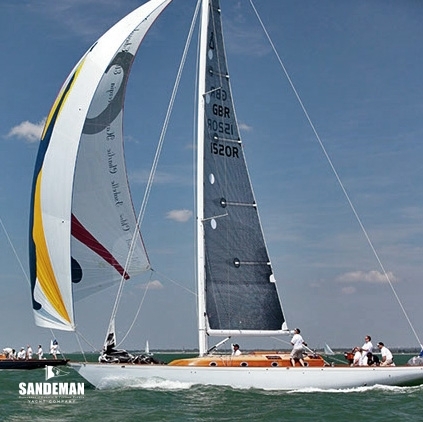 In the 2013 and 2014 Round the Island (of Wight) races she performed outstandingly well against modern race yachts, beating most across the water. 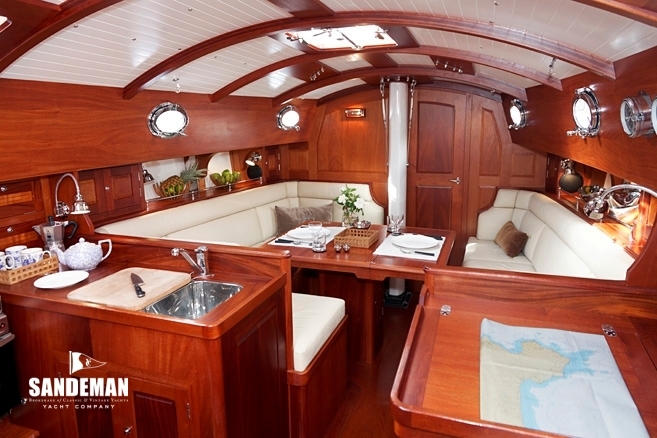 In 2014, she also won the Modern Classics Class. 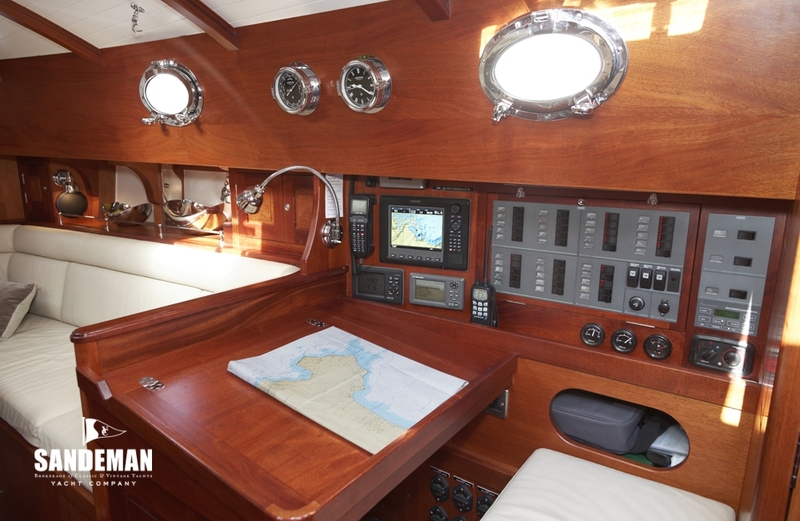 Her IRC rating offers a good prospect of winning races at many regattas and sailing events around the world. 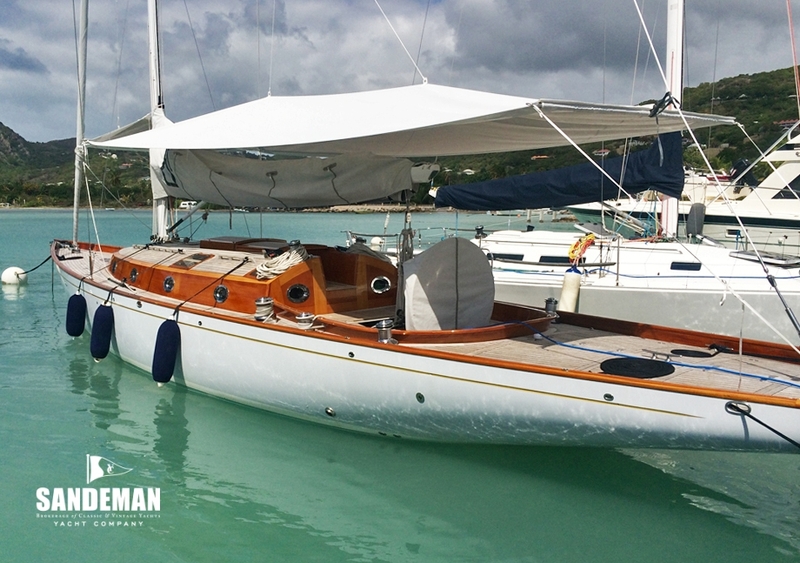 In racing mode she is a pleasure to sail, well balanced right up through the wind range and easily steered. 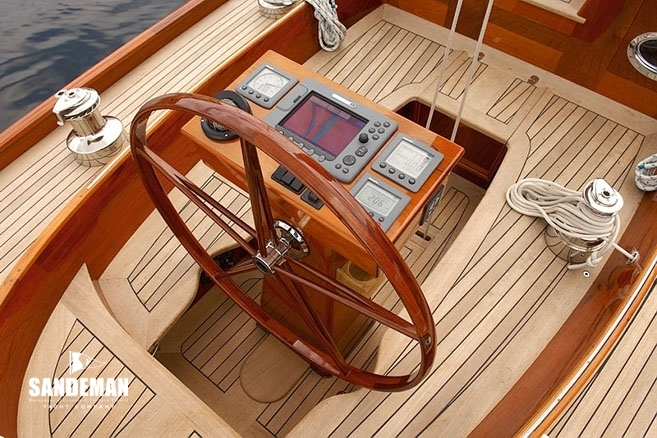 Crew work is straightforward and uncomplicated. 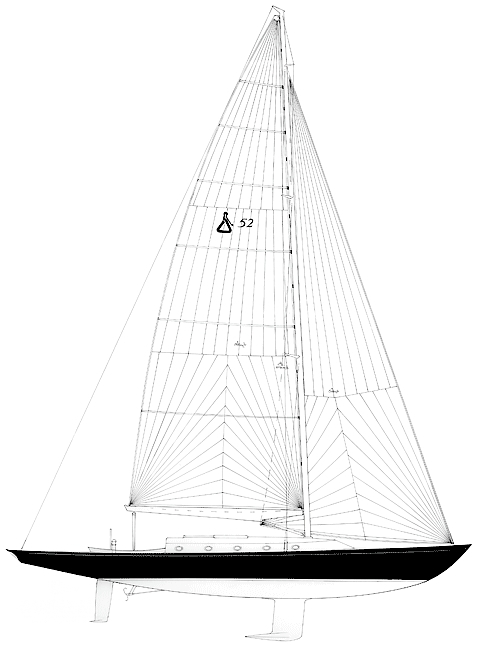 There are no spinnaker poles and extra guy lines, just simple to use asymmetric spinnakers. 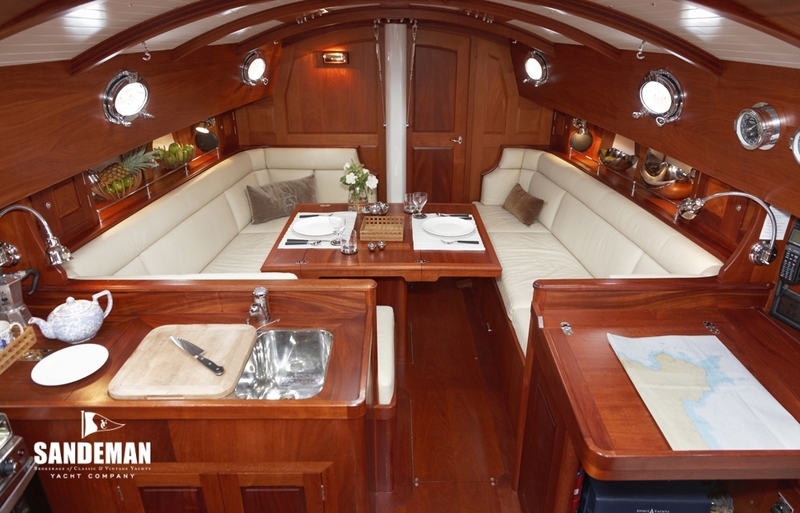 Fifty four Spirit yachts have now been built and delivered to their owners around the world. 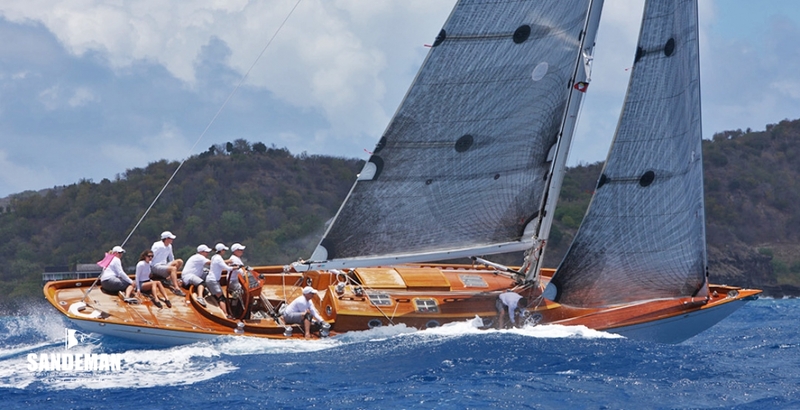 Nine of those participated in the 2014 Antigua Classics Regatta. 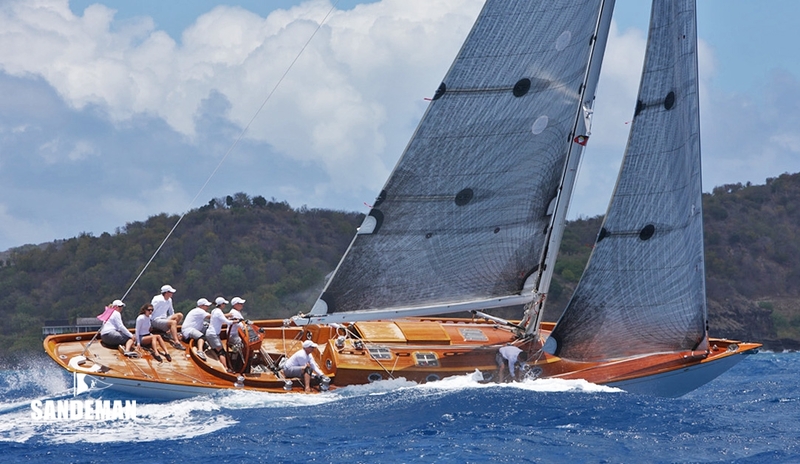 This the 27th regatta was blessed with some of the most exciting racing ever seen at this event; 25-28 knot trade winds and 2-3 metre rolling seas producing demanding but truly exhilarating sailing. CHLOE was 2nd in the Spirit Class behind NAZGUL, a 76 ft Spirit. 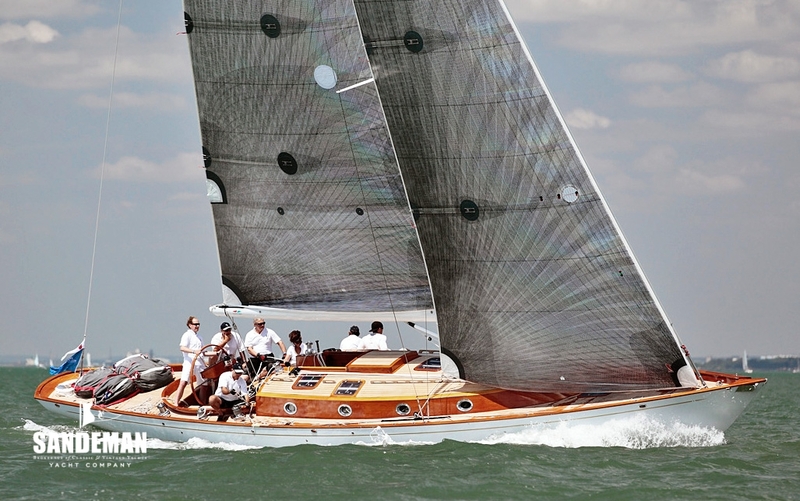 In the Spirit of Tradition Class she was 3rd behind the 130 ft J Class RAINBOW and NAZGUL. 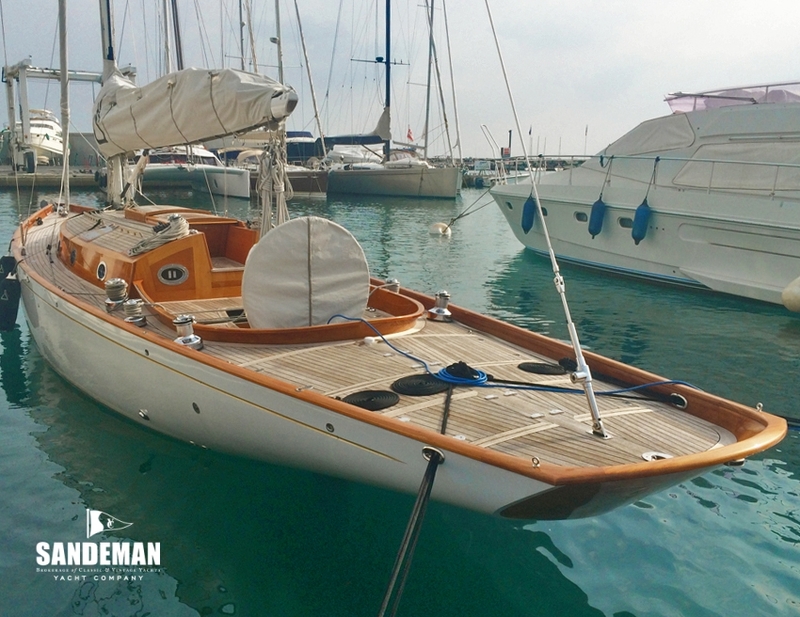 - Keel faired and coated with epoxy barrier coating before painting. 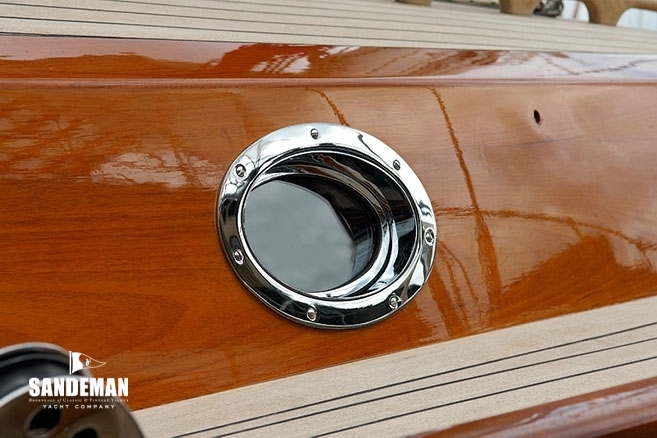 - Heavy usage items such as the helm wheel have up to 12 coats of varnish. - All bearings are plain high load for high load applications. 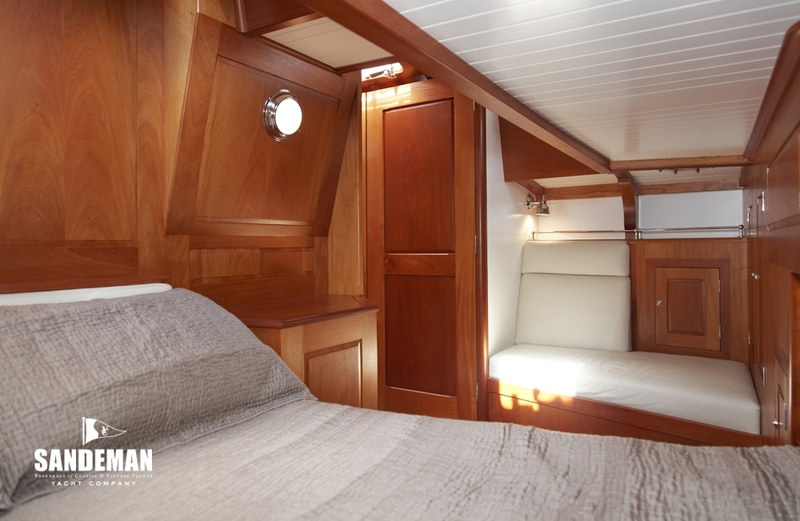 Accommodation is for four in a double owner’s cabin aft and two single guest berths in the fore cabin Each has en suite shower and head compartment. 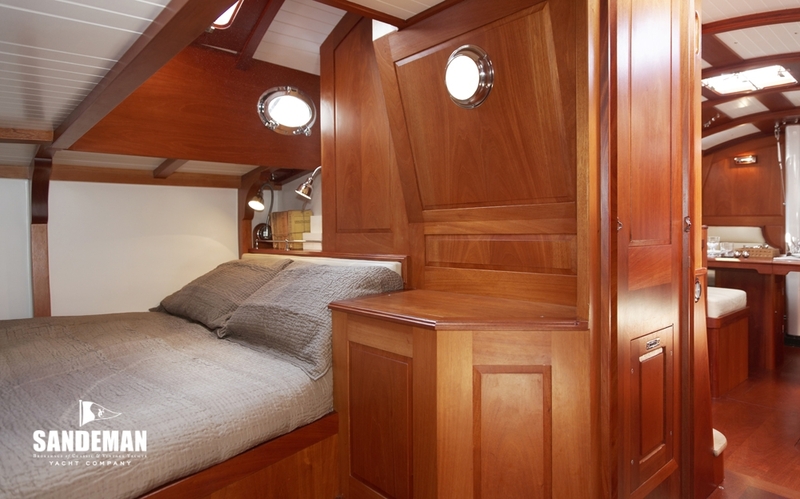 She can sleep a further two in the main saloon if required.